Circles of Support SUCCESS | Navigating ADHD Inc. When Sarah and her family came to Navigating ADHD it was clear that there was very little communication between support providers. Sarah had a lot of wonderful support people in her life and was learning strategies but was having a difficult time being successful in all areas of her life. When Sarah started receiving ADHD Coaching services as well as art therapy we knew it was perfect timing to bring everyone together to work as a team rather than individual providers. Now when Sarah worked on a strategy with her occupational therapist we were aware of what it was and used the same strategy during our sessions. When we worked on a strategy that could be used at home and at school it was shared with her family, her OT and her teacher. Sarah loved her iPod so we decided the best way to keep track of and share strategies was to take pictures of the strategy either written out or creatively demonstrated. Sarah would then email the strategy to everyone on the support team. Sarah found great success with implementation of strategies because everyone on her team knew what the strategy was and could give feedback on how it was working. Join us on February 25th for our Circles of Support Teleseminar from 8:00-9:00 PM. 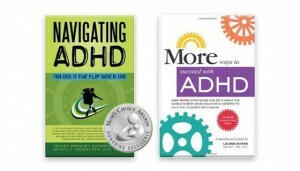 We encourage you to visit this page daily to always be informed about the latest news and events at Navigating ADHD.